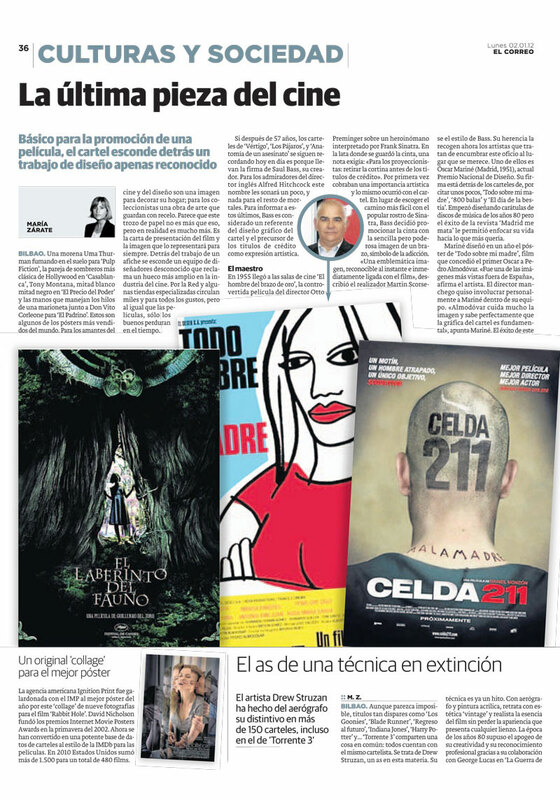 The newspaper El CORREO recently published a report about Spanish film posters. 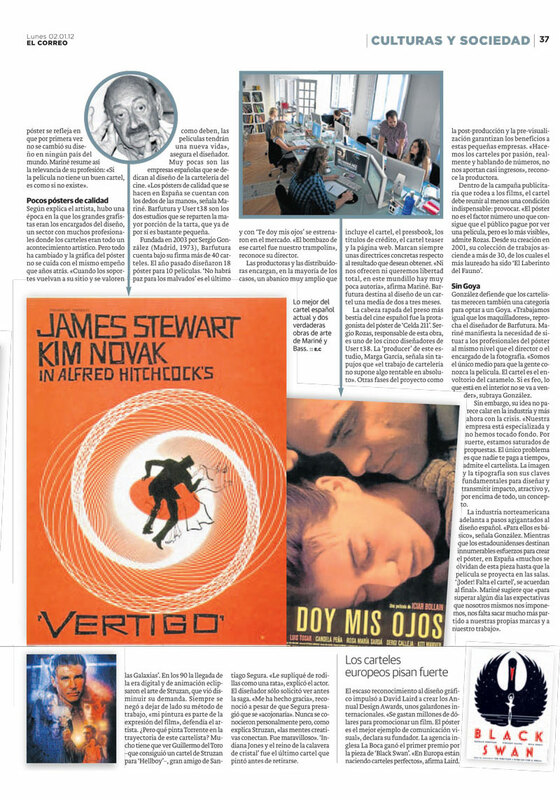 We were interviewed along with other design studios who work with the film industry like Oscar Mariné and User T38. By María Zárate.